It seems common to assume that we’re faced with a straight choice on tuition fees, where the state either funds the whole of everyone’s tuition costs, or all students have to take out a loan for £9,250 a year. Thus, in no part of the UK do first-time students now have to find the cost of their fees from their or their families’ existing resources. With a few exceptions in Scotland and elsewhere, higher education is free at the point of entry for all first-time undergraduate students in the UK, because at a minimum they can take out a government-subsidised student loan to defer the full cost of their fees until they are earning above a certain level. 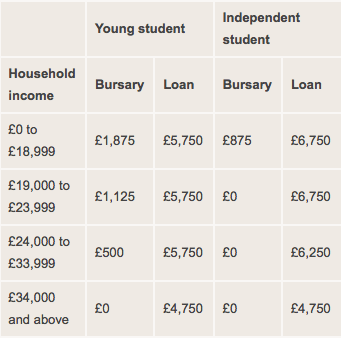 It would cost ca £30m to switch £1,000 of living cost support from loan to grant for those on the Young Student Bursary. I’ll spend a further ca £40m on giving independent students (for example, those over 25, or who are parents, or married/in a partnership) the same bursary as young ones, and bringing down their debt, because these students in Scotland are on a much less generous grant and a higher loan, and there’s really no good way to justify that. I’ll also spend ca £15m on a new £1,000 grant for students from households between £34,000 and £45,000, because these families, who are not awash with cash, are expected to find much more out of pocket help for their children in Scotland than is the case in the rest of the UK and that’s a concern: more here. I’ve spent approaching £90m. I assume that, due to things I’ve failed to take into account, income wouldn’t be as high and expenditure would be higher, so my spending plans may still be a bit ambitious on this level of fee. But they will be in the right general area. If students from the wealthiest quarter of households were expected to borrow £3,500 a year of their tuition cost, it seems likely that we could nearly treble our spending on maintenance grants. Total debt for those at high incomes would come to a maximum of £8,250 a year. Two points about that. First, in practice many of these students would only have a £3,500 annual debt because living cost debt take-up is lower in this group, presumably because many have all their living costs met by their parents. 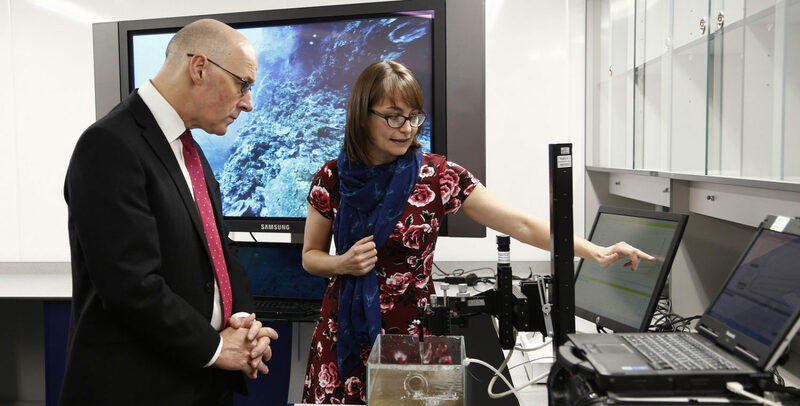 A more radical, and carefully argued and well-evidenced, rearrangement of fee and grant subsidies has been proposed for Wales by the Diamond Committee. The Welsh Government has accepted the recommendations and recently finished consulting on the detail of implementing it. The change has cross-party support, and support from NUS Wales and Universities Wales. Anyone interested in this debate should read that report (here), as a further example of the range of possibilities. A separate objection to fees is that they create a ‘weakest to the wall’ market in higher education. That’s not a necessary effect in the model above, in which the SFC continues to decide where the funded places are, and fully funds the fees of three-quarters of Scottish undergraduate students and half the cost of the rest. It is entirely possible to seek a fee contribution from some students (or even all) in a system as planned as the current one, without moving to a quasi-voucher market. This positioning of tuition fees as a box which must never be opened even a crack benefits one section of society. It’s the one I know best, and it has always been good at identifying high-minded arguments in defence of its own interests. But rarely so successful as in this case at persuading other people that they must leave their barricade neglected, and come and defend this one instead. It’s been a rather one-sided vision of solidarity so far. But here we are. The maths of a more even sharing of debt among students in Scotland is really pretty easy. The politics look as impossible as ever.